I found Karel Capek’s another cute caramel tea. And did you know Starbucks Coffee producing their coffee for convenience stores? 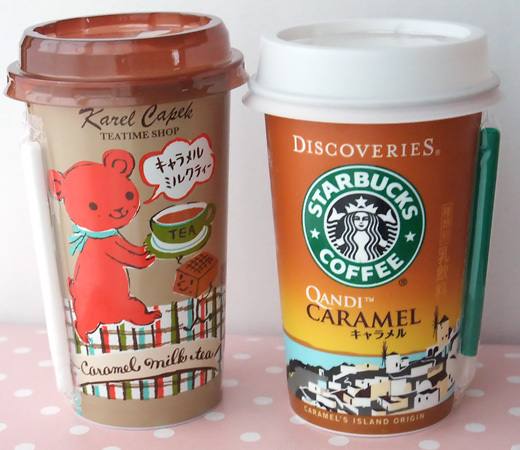 I got caramel one, it is of course caramel cafe latte, named Qandi. I love the Karel Capek tea! It’s so cute!! I love the caramel Karel Capek tea, I live on it!